This is a standard capacity CLOSED COOLIN SYSTEM designed for Sterndrive Mercruiser & GM based 4.3L V6 & 5.0L/5.7L V8 engines with SERPENTINE BELT & DRY JOINT EXHAUST (select this link to see an Image of a Dry Joint System). System works with Alpha One or Bravo Outdrive's. System works on Vortec engines (8 bolt intake manifold versus 12 bolt). This is a full system, cooling the engine block and exhaust manifolds. System mounts on the front of the engine. Raw water inlet must run along the port side valve cover on top of the engine. 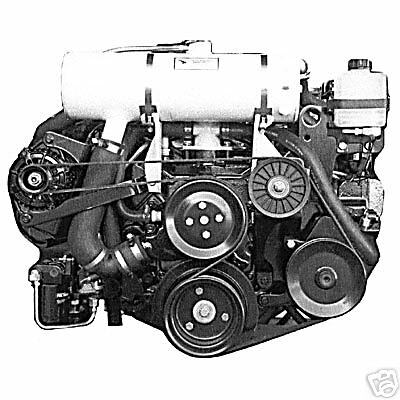 Will work only on carbureted engines. Kit comes complete with detailed installation instructions. NOTE: The Raw Water inlet must be routed along the Port Side rocker cover. You must specify when ordering whether this kit will be installed on a V6 or V8 engine.